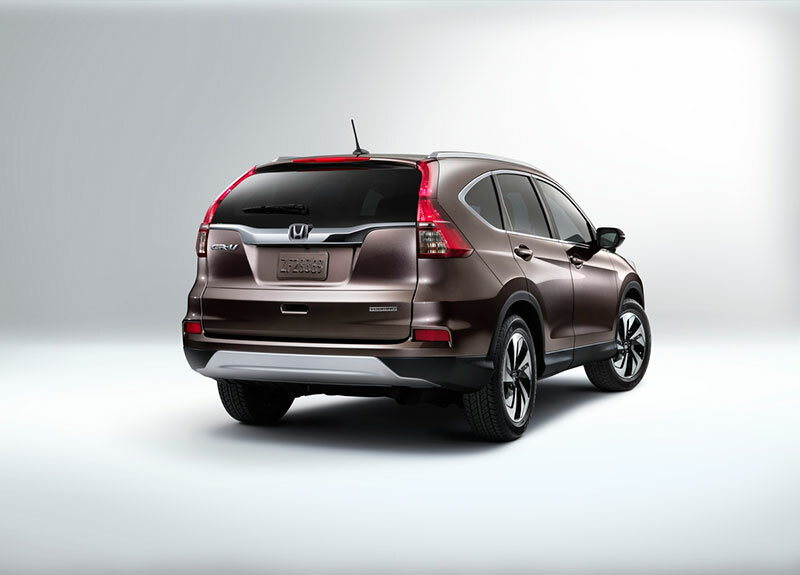 The 2015 CR-V includes easy-to-read instrumentation and, for the first time on CR-V, Honda’s new 7-inch touchscreen Display Audio telematics interface. Display Audio, standard on EX and above trim levels, allows the user to tap, pinch, and swipe – just like on a smart phone or tablet – to control audio and other telematics features, including the available next-generation HondaLink™9 and the Honda Satellite-linked Navigation System™10. All CR-Vs retain the full-color intelligent Multi-Information Display (i-MID) that offers a range of customizable features via fingertip controls on the steering wheel. 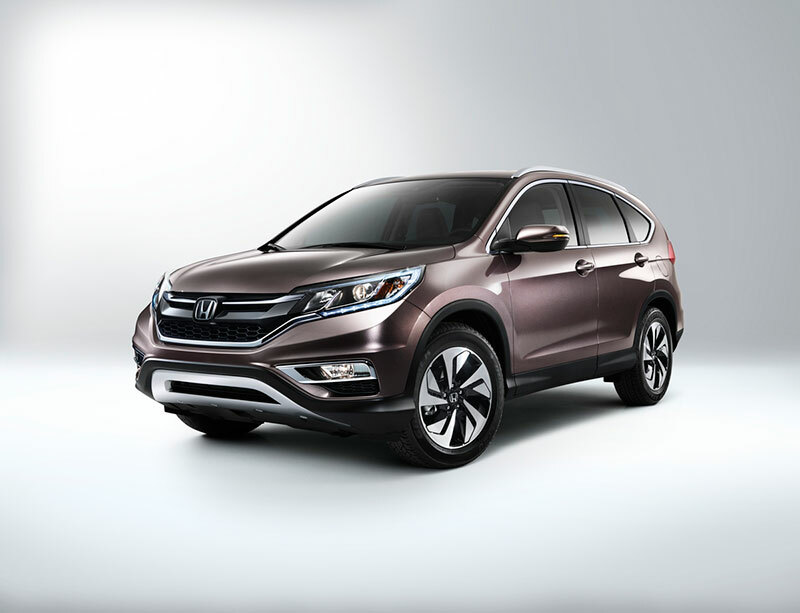 The CR-V’s audio and telematics systems offer a high level of connectivity, including a standard Pandora®11 internet interface and SMS text messaging function, Bluetooth®12 HandsFreeLink® phone interface. The 2015 CR-V’s new Earth Dreams Technology™ 2.4-liter direct-injected DOHC i-VTEC inline 4-cylinder engine produces 181 lb-ft of torque, an 11-percent increase over the previous engine’s 163 lb-ft13 while making the same 185 horsepower14. The new lighter-weight engine is mated to a new continuously variable transmission (CVT) with G-design Shift that provides smooth, seamless ratio changes and contributes to increased EPA fuel economy ratings of 27/34/29 mpg3(city/highway/combined) for front-wheel-drive models and 26/33/28 mpg3 for the Real Time AWD models. Consumer information is available at automobiles.honda.com/cr-v. To join the CR-V community on Facebook, visitfacebook.com/hondacrv. Additional media information including, pricing, features and high-resolution photography of the 2015 Honda CR-V is available at hondanews.com/channels/honda-automobiles-cr-v.
1The Honda CR-V was the best-selling compact SUV with individual American buyers in 2013 according to new-vehicle registration data compiled by Polk, which was recently acquired by IHS. 2 MSRP (Manufacturer’s Suggested Retail Price) excluding tax, license, registration, $830 destination charge and options. Dealer prices may vary. 3 Based on 2015 EPA fuel-economy ratings. Use for comparison purposes only. Your mileage will vary depending on how you drive and maintain your vehicle. 4 CMBS™ cannot detect all objects ahead and may not detect a given object; accuracy will vary based on weather, speed and other factors. System operation affected by extreme interior heat. System designed to mitigate crash forces. Driver remains responsible for safely operating vehicle and avoiding collisions. 5 ACC cannot detect all objects ahead and may not detect a given object; accuracy will vary based on weather, speed and other factors. ACC should not be used in heavy traffic, poor weather or on winding roads. The driver remains responsible to slow or stop the vehicle to avoid a collision. 6 LKAS only alerts drivers when lane drift is detected without a turn signal in use. LKAS may not detect all lane markings or lane departures; accuracy will vary based on weather, speed and road condition. System operation affected by extreme interior heat. Driver remains responsible for safely operating vehicle and avoiding collisions. 10 The Honda Satellite-Linked Navigation System™ is available on EX-L models and standard on Touring models in the United States, Canada and Puerto Rico. (Honda HD Digital Traffic service only available in the United States, except Alaska). Please see your Honda dealer for details. 11 Pandora, the Pandora logo, and the Pandora trade dress are trademarks or registered trademarks of Pandora Media, Inc. Used with permission. Compatible with select smartphones. See: www.pandora.com/everywhere/mobile. Not all devices compatible with USB connection. Your wireless carrier’s rate plans apply. 15 VSA is not a substitute for safe driving. It cannot correct the vehicle’s course in every situation or compensate for reckless driving. Control of the vehicle always remains with the driver. 17 SiriusXM services require a subscription after any trial period. If you decide to continue your SiriusXM service at the end of your trial subscription, the plan you choose will automatically renew and bill at then-current rates until you call SiriusXM at 1-866-635-2349 to cancel. See our Customer Agreement for complete terms at www.siriusxm.com. Fees and programming subject to change. XM satellite service is available only to those at least 18 years and older in the 48 contiguous United States and D.C. ©2014 Sirius XM Radio Inc. Sirius, XM and all related marks and logos are trademarks of Sirius XM Radio Inc.
18 HD Radio™ is a proprietary trademark of iBiquity Digital Corporation.